Thread in 'MWO News' started by Blagg Zear, Jun 24, 2017. 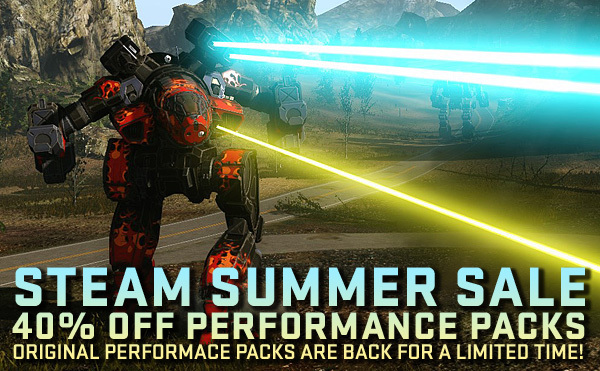 Steam Summer Sale 40% off Performance Packs! We have also brought back the Original Performance Packs for a limited time! CHECK THE STEAM PAGE FOR YOUR REGIONS PRICING!